Welcome to the official Giovanni Colacicchi website. 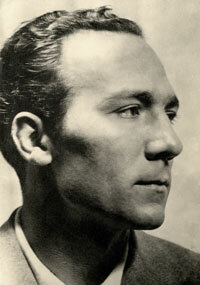 Giovanni Colacicchi, born in Anagni south of Rome in 1900, moves to Florence when 16 years old and goes on to become one of the most important figurative painters of the ‘Novecento’ artistic movement which includes Carrà, Casorati, De Chirico, De Pisis, Guidi and Morandi, and they exhibit together in Milan in 1926. 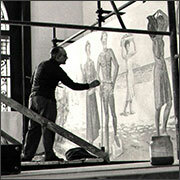 Colacicchi is invited to the Biennale of Venice from 1928 to 1948 and participates in all the other major exhibitions of his time. In 1938 Eugenio Montale writes the presentation of his solo exhibition at the Galleria La Cometa in Rome. 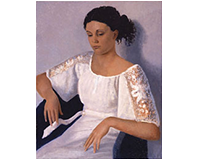 From 1940 to 1970 Colacicchi is a teacher at the Accademia di Belle Arti of Florence where for many years he is also the Director. Besides his landscapes, still lifes, portraits, and monumental figure studies, often with a mythological theme, he also carries out numerous decorations for public buildings in Italy. Together with his wife Flavia Arlotta, his political involvement and dedication to the preservation of the environment is well documented in the family archive deposited in 2011 at the Archivio Contemporaneo “A. Bonsanti” at the Gabinetto Vieusseux of Florence. He dies in 1992, still at work.